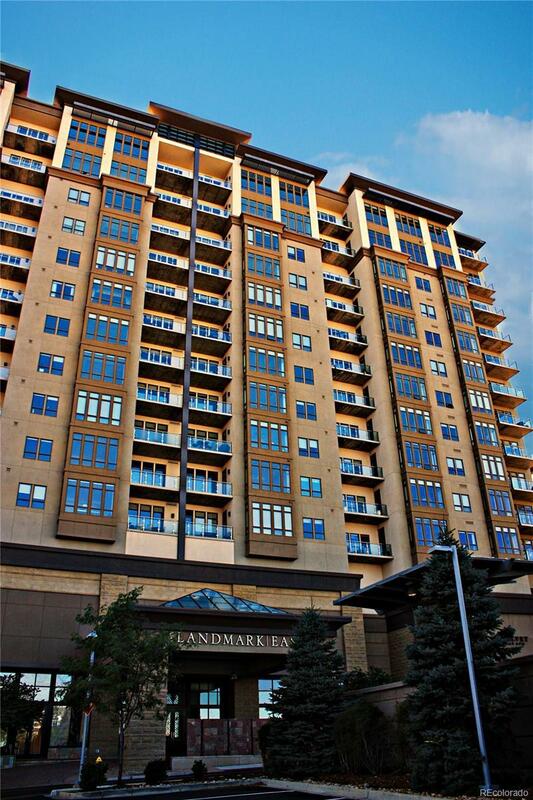 Enjoy all of the amenities Landmark has to offer for under $600,000. Great Opportunity! Luxury, maint. free living in the heart of Greenwood Village. Pristine condition. Highly upgraded home w/stunning built-ins. Floor to ceiling windows-10' ceilings. Gorgeous kitchen w/Viking appliances including a wine butler. Granite counters and hardwood floors thru-out. This home has 2 exclusive use parking spaces in the garage & an extra large storage area-unusual in this building for this $. Triple pane window in master bdrm. Community Wine Cellar cabinet #54. Resort style living w/24-hr concierge service, business center, 2 community fitness centers, 2 community pools, 2 hot tubs, library, media center, 2 guest suites (rentable), magnificent 5th flr deck, club room, sauna & freight elevator. Walk a few steps to The Landmark Shops, you will find everything you need-fine dining, casual dining, entertainment, and boutique shopping. Sincere apologizes for the obvious typo in original list price.